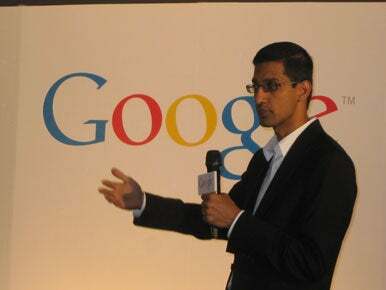 The Chrome OS “will be offered to users in the fourth quarter,” said Sundar Pichai, Google’s vice president of product management, during a speech at the Computex electronics exhibition in Taipei. The statement appears to push back earlier talk of a third-quarter launch for the OS, which is expected to compete with Microsoft’s Windows 7 as well as other OSes. “For Chrome OS, we are focused on laptops for this year,” he said at a news conference later in the day. Initially, Chrome OS will limit certain customization such as user interfaces that some Taiwanese laptop makers are planning, but over time more customization will be allowed. “So, yes to UIs, but later,” he said.